This is a mosaic of three New Horizons images of Jupiter's Little Red Spot, taken with the spacecraft's Long Range Reconnaissance Imager (LORRI) camera at 17:41 Universal Time on February 26 from a range of 3.5 million kilometers (2.1 million miles). The image scale is 17 kilometers (11 miles) per pixel, and the area covered measures 33,000 kilometers (20,000 miles) from top to bottom, two and one-half times the diameter of Earth. The Little Red Spot, a smaller cousin of the famous Great Red Spot, formed in the past decade from the merger of three smaller Jovian storms, and is now the second-largest storm on Jupiter. About a year ago its color, formerly white, changed to a reddish shade similar to the Great Red Spot, perhaps because it is now powerful enough to dredge up reddish material from deeper inside Jupiter. These are the most detailed images ever taken of the Little Red Spot since its formation, and will be combined with even sharper images taken by New Horizons 10 hours later to map circulation patterns around and within the storm. LORRI took the images as the Sun was about to set on the Little Red Spot. The LORRI camera was designed to look at Pluto, where sunlight is much fainter than it is at Jupiter, so the images would have been overexposed if LORRI had looked at the storm when it was illuminated by the noonday Sun. The dim evening illumination helped the LORRI camera obtain well-exposed images. The New Horizons team used predictions made by amateur astronomers in 2006, based on their observations of the motion of the Little Red Spot with backyard telescopes, to help them accurately point LORRI at the storm. 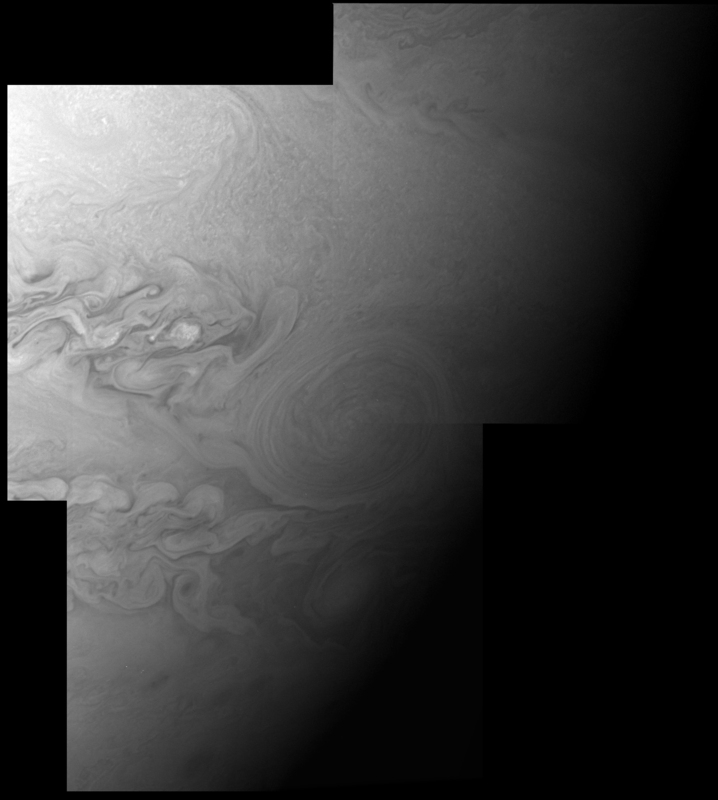 These are among a handful of Jupiter system images already returned by New Horizons during its close approach to Jupiter. Most of the data being gathered by the spacecraft are stored onboard and will be downlinked to Earth during March and April 2007.